The Tradition® and Tradition® Pro feature a new rotor and ceramic bearing set that provide significant power upgrades without requiring additional air pressure. 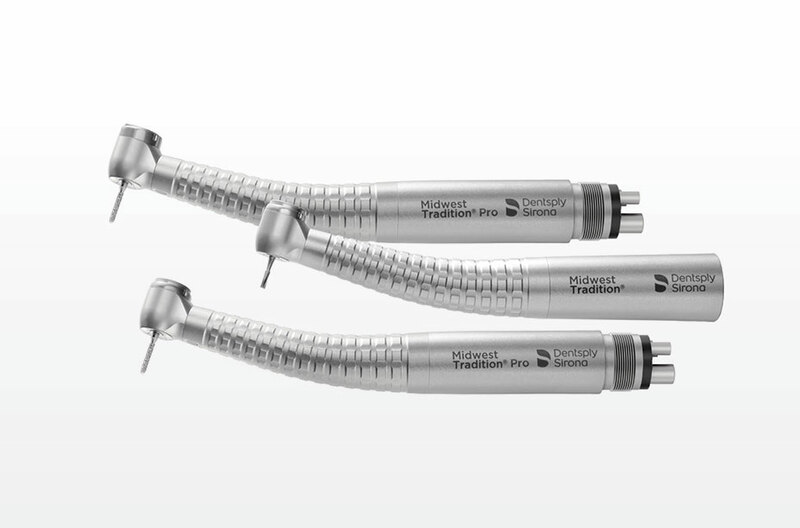 This makes integrating into your current inventory of handpieces easier than ever. All new solid glass fiber optics are designed to resist yellowing and improve light transmission. An improved lever chuck option has been completely redesigned for ease of operation and long-term safety. What Are You Looking for in an Electric Handpiece System?